Here at Toyota of Newnan, our finance department cares about our customers. We’re proud to serve customers from Newnan, Peachtree City, and Douglasville. 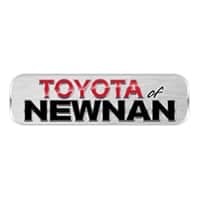 If you can’t make it down to our Newnan Toyota dealership, use our pre-approval form to see what finance programs you qualify for. Use our Toyota payment calculator to estimate your monthly payments and buying power. Look at our new Toyota cars near Peachtree City and our pre-owned cars to find the right vehicle for you!